Good day, Drifted readers! My name is Cole Chalmers. I am 22 years old and I’m located up North in sunny Canada, where it’s spring break all year long! 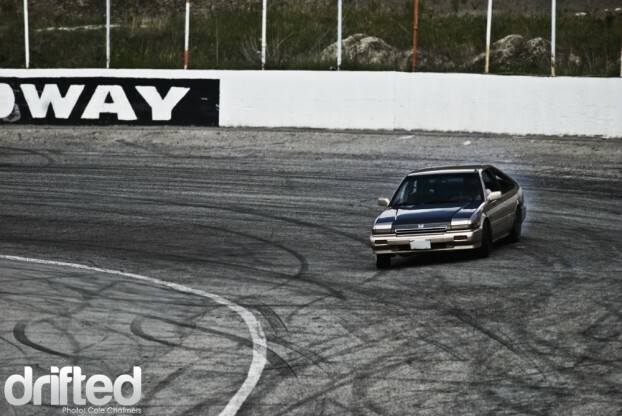 With my first post here on Drifted I feel like I should fill you in with a little about myself and the Okanagan automotive scene that I am proud to be a part of. I’ve been shooting for about 6 years, mostly of bands, mountain biking, and bmxing. 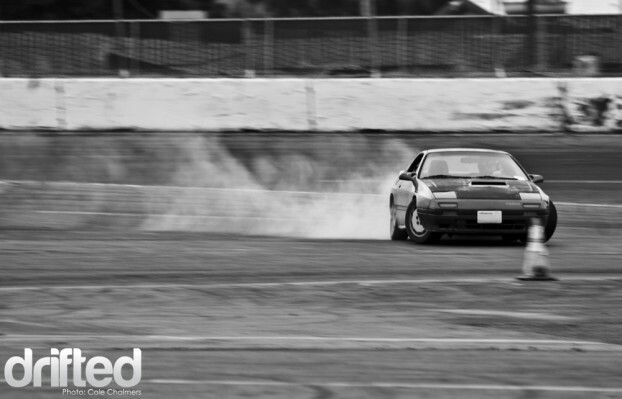 While I have been shooting pictures of cars for a couple years (static mostly) the opportunity has never been there for me to take drifting photos, until this year, when I moved to Kelowna, BC. I joined the local online forums and went to a few of the meets and quickly made a few friends, including one of the main drifters in town: Logan Noel, who’s RWD 93 Subaru Legacy has been getting a lot of photo exposure lately, especially in the Northwest scene. Through Logan I met Shawn Browne, the man behind Drift Union and another one of the main drifters in the area. His FC is definitely a love it/hate it kind of car, whether it be for his colour choices (currently Palace Purple, last year it was a delicious poo brown) or the ski jump on the back. 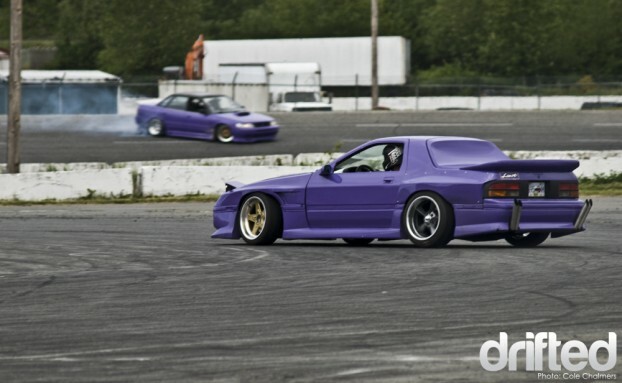 Regardless, he drives it gnarly enough for the fanboys to swoon and haters to give props. 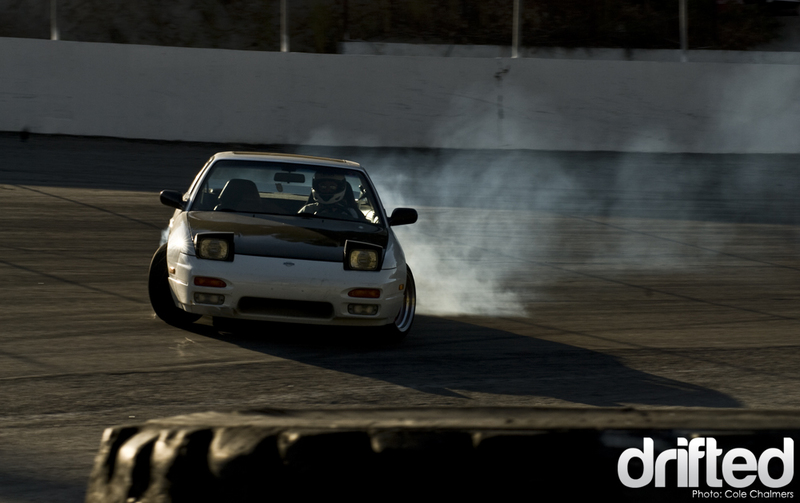 If it weren’t for Shawn and Drift Union, the drifting scene here would be small and all streets. The closest regular events are a solid 4+ hours in any direction and include either: border crossings, ferry rides, rugged drives, or possibly the worst of all for a drifter: the straight line highways of Alberta. 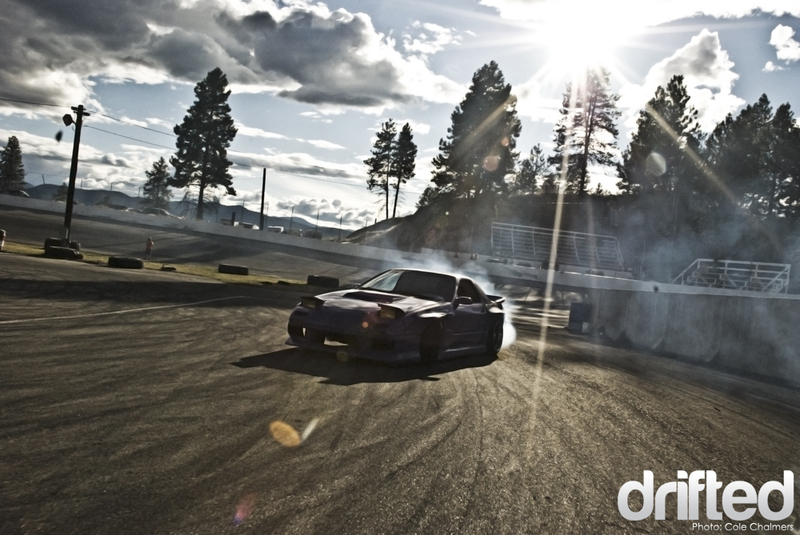 Drift Union’s D-Days at Penticton Speedway are coming up on their 12th event and they are probably one of the biggest reasons why drifting has caught on as big as it has in Kelowna. The track time to dollar cost at D-day is almost un-compareable, and brings out an assortment of drifters. Being the new guy in town, I expected to have a hard time making friends and meeting new people and getting invited to the local hangouts. I was pleasantly surprised though. Within weeks I felt like I was part of the crew. In my hometown it was hard enough to find people who were into cars, let alone enthusiasts that wanted to welcome another to their group. So this was a good change for me. 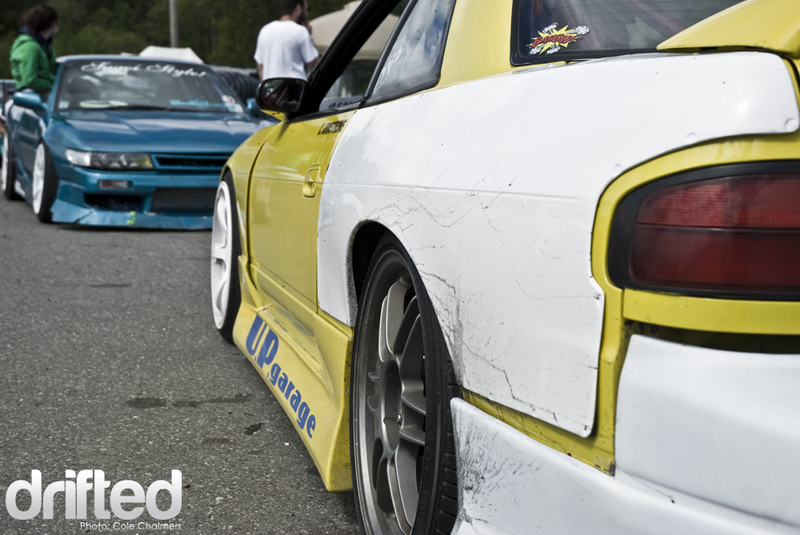 I was lucky enough to get invited along with Shawn and Logan to Washington for a drift event at Evergreen to take photos and video, even though we barely knew eachother (another testament to the closeness of the Kelowna drift/car scene). This ended up being my first time shooting drifting other than snow covered parking lots (insert joke about Canada and snow here).We were given a roof over our heads for the weekend by Ian Dillon from ‘Battle House!’ and were promptly invited to a bbq/beer pong tourney. 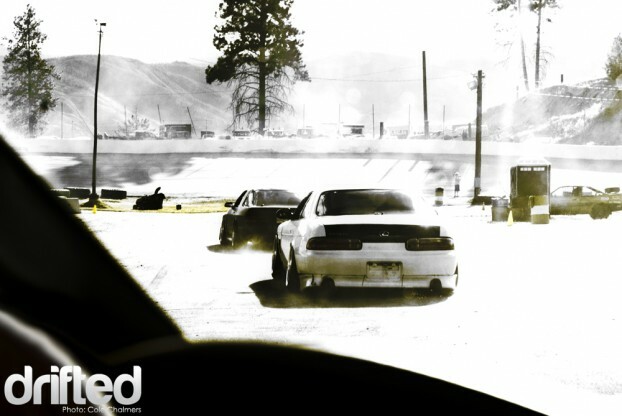 It didn’t take long to realize that this sense of community I had felt from the Kelowna drift scene wasn’t just a Kelowna thing, it existed anywhere that drifting was happening. Coming from a background of extreme sports I realize there will always be ‘bros’ and ‘pros’ of the sport, but I have never felt the warm welcoming that drifting presented me as I have been easing my way into the scene. First as a photographer and now as a driver myself; having attended a few of our local D-Days and now halfway through the process of building my own drift car. 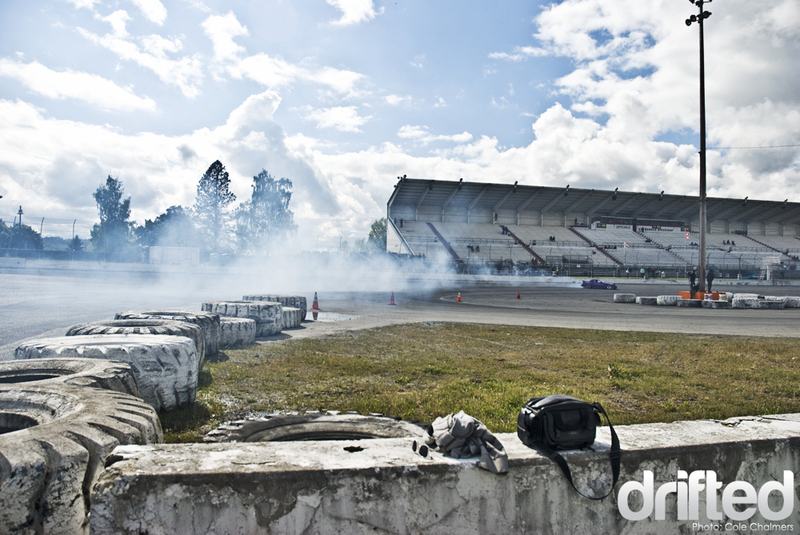 There is so little drama and everyone is just down to have a good time burning rubber. It’s late in the season now, so there isn’t a whole lot of Northwest dates left to cover. I’m hoping to make it to PGP in Washington at the end of August and we have our last Local drift day: ‘D-Day 12’ on Sept 5th. So look forward to coverage on both those events and hopefully a few more before winter comes callin’. Then I’ll either have to hop on a plane to somewhere warmer or keep up with the build’s that are cranking away while they can’t be driven (I love my country, but why can’t the snow stay in the ski hills?). To sign out, I want to say a big thanks to Quail for hooking me up with the opportunity to contribute here. 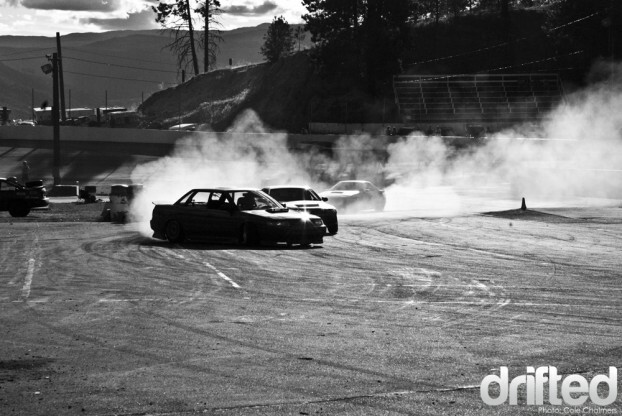 If you want to keep up with the Kelowna car life, hit up Shawn Browne’s site at www.driftunion.com or Logan’s blog at fulllock.wordpress.com. If you feel like checking out my photos visit www.flickr.com/photograptor and if you want to learn a little about me creep my facebook or add me on twitter (@photograptor) and get some random tweets. 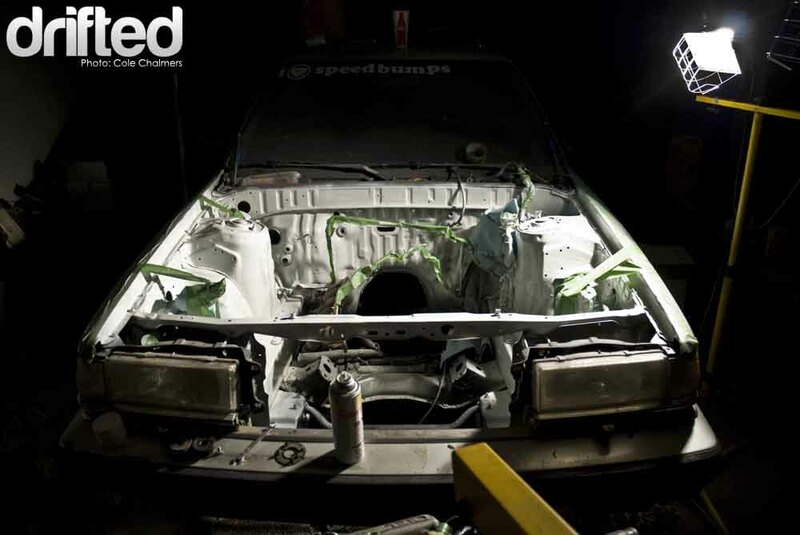 Now back into the carport for me, I got a motor on the way and a car that’s only half ready for it!